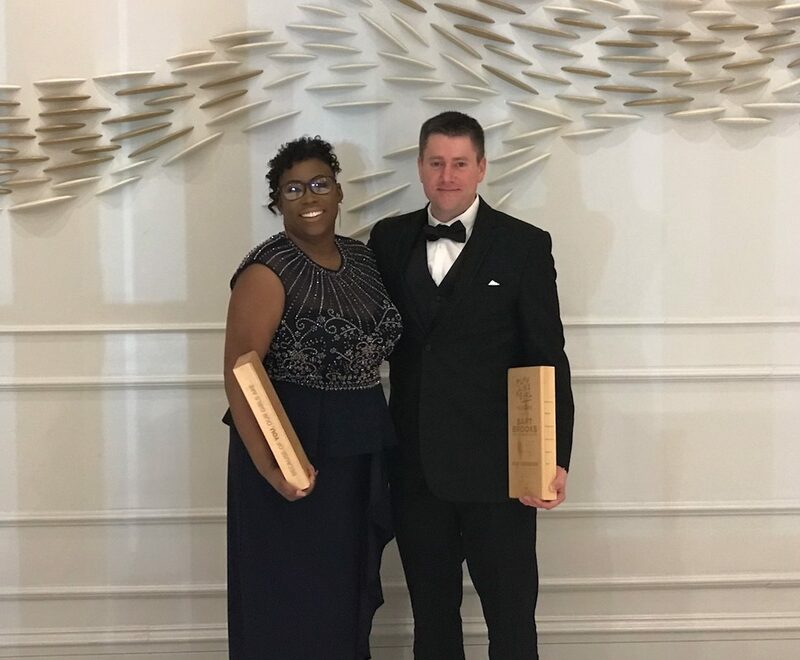 Women’s basketball Head Coach Bart Brooks and Director for Media Relations, Women’s Sports, Kenisha Rhone were both recently honored with awards from Play Like a Girl. Play Like a Girl!® is a national 501(c)3 charitable organization founded in 2004. The group’s mission is to ensure that every girl reaches her full potential by providing girls ages 9-13 an opportunity—and in many cases, their only chance—to participate in sport and physical activity. The awards ceremony was held Nov. 26 in Franklin, Tennessee.